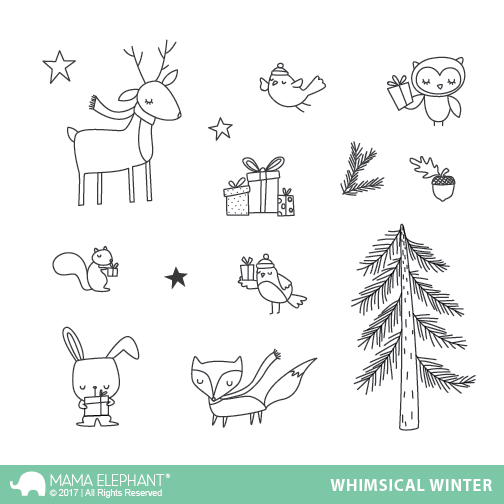 Hello and welcome to today's Intro post introducing Whimsical Winter. This entire Holiday/Winter release has truly been a labor of love. We had so many designs that we had to spread it out over two releases, hopefully you were all able to pick something you love! 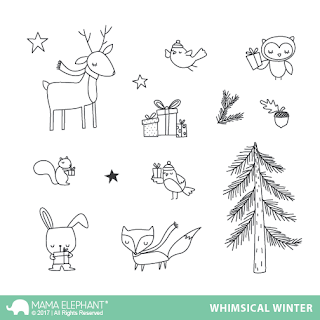 Today's Intro is Whimsical Winter designed by the lovely Holly Brooke Jones. She debuted with us last month with Holly's Snowflakes which many of you really loved! 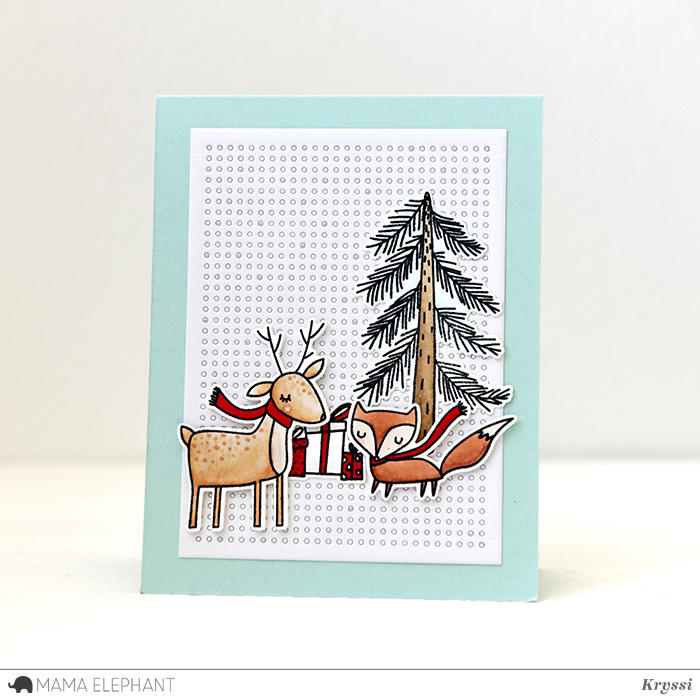 I am enamored with her newest set Whimsical Winter which depicts a serene whimsical scene in the forest, a peaceful little gathering of these cute animals for a gift exchange! Sets with themes like this never go out of style and are always perfect to convey your heartfelt wishes on your holiday cards. Sooo cute! Love the deer and fox! This card is too cute! Love the whimsy! I know where I'll be at midnight on the 15th ..... I'm unfamiliar with what made the background pattern... is that a die or stamp? Thanks! I thought your video was great and I love the card. Thanks so much. Cute and beautiful set :) Lovely card!! I love this stamp/die set - what a great design! And it makes for a quick and easy card! Oooooh, I'm in love with this set! Glad you can get some tech support from your daughter. You both did well. Nice video! So cute and what a great background! So cute. Great images and love the background also. I love the critters faces. Great looking tree. Congratulations on your first video! I think you did a really great job!! Your card is adorable!! Love this release, it's so versatile.